You take your first few sips of freshly brewed coffee as you sit in front of the computer to review your Amazon performance from the day before. You look at your daily sales on one product…up 15%. You look at the next product and instead of your smile getting bigger, your mouth drops open and a sinking feeling prevails as you notice that you’ve lost the Buy Box and your sales have bottomed out. You immediately realize your listing has been hijacked! Knocking off your product…and undercutting you or possibly outselling more than you which leads to being kicked out of the Buy Box. 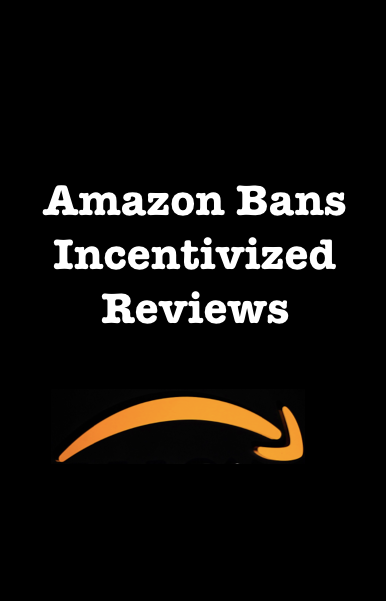 With 100’s of campaigns running every month at iLoveToReview and clients ranging from launching their first product to those doing $5M+ a month, we have seen virtually everything when it comes to challenging experiences on Amazon and it almost appears that no one’s Amazon business is completely safe. Even Amazon recognized that Sellers who manufacture and/or sell their own branded (Private Label) products need assistance with maintaining some level of control over their listings. That led Amazon to create the Brand Registry program with their goal being “to make it easier for sellers to manage their own brands and list their products on Amazon.” Reading that last part again, it does seem a bit basic considering the hard hitting competitor activities mentioned above. Giving registered Sellers expert status for more authority over listing content such as titles, details, images, and other attributes. Precluding anyone else from being able to use your registered brand name. Generating a unique Global Catalog Identifier (GCID) for your products, which reduces matching errors to similar products. Helping Amazon shut down counterfeits of your product. Block Sellers from buying the same product from a manufacturer (maybe even from yours) with a slight variation, branding it themselves, and directly competing against you. Make Amazon responsible for any trademark infringements nor enforce U.S. trademark laws. Guarantee automatic Buy Box status. When it comes to building your Amazon business, there is a list of actions to take which help keep you one step ahead of the competition. Building your Brand Name is most certainly a key component in your marketing strategy especially if you are a manufacturer and/or have developed Private Label products. You are the group that Amazon’s Brand Registry program targets. Although there are no guarantees, Amazon highly recommends that you enroll. In fact, they may send an email suggesting that you do so. But you don’t have to wait for their invitation. Books, Music, Videos, and DVDs (BMVD). Products in the Entertainment Collectibles and Sports Collectibles categories. On a side note…Even if you are getting products from China (or elsewhere) and Private Labeling it; you are still considered the manufacturer in the context of Brand Registry with Amazon. That info will come in handy when you fill out your online form. If you haven’t already created one, an active website that displays your brand name and products is required by that one little box which reads “Company website”. Even if you offer one product, it is critical to have a website (one page works too) with your product picture, product details, company name, address, phone number, and a company domain email address. Gmail, Yahoo, Hotmail addresses are unacceptable to Amazon. It doesn’t matter if you have a trademark or patent; that company domain email address is mission critical. An image of your product packaging with branding visible on the packaging. An image of a product with your branding visible on the product itself. A unique key attribute for each product that will have your brand name. Amazon considers a good key attribute as unique to the product and never changes. It should be easily discoverable by your distributors and customers on your packaging, on your website, or in your catalog. If it is not unique to your product, then you will receive an error message when submitting your application. After submitting your application, Amazon may follow-up with some document requirements to prove you genuinely deserve to be the owner of your Brand Name. Once your application for Brand Registry has hopefully been approved, make sure that your products are listed with your brand name exactly written as in the application and unique identifiers (the key attribute you submitted). Also, Amazon will have assigned a GCID (Global Catalog Identifier) to every SKU you included in your application. Since each GCID is unique, it will now be much harder for third party sellers to change your content…although that excludes product images. The GCID is directly tied to a product and does not change, whereas the ASIN is tied to the product listing and product listings can easily be changed. By the way, you will not know your GCID unless you look for it in your downloaded Excel Inventory Report. If you have been assigned a GCID, it will be a 16-character value with no spaces or hyphen in the column titled “product-id”. It’s good to know where to find your GCID, in the event you need to refer to it in a case submitted for any issues mentioned in this article. Although Amazon does not get involved in any trademark issue, you will have empowered yourself with legal recourse and sometimes a threat to take legal action is all it takes for counterfeiters to remove their listing. Taking care of registering your Brand Name is one more thing to check off that strategic action plan you designed to keep your Amazon business competitive and growing. Every layer of protection counts whether there is a drizzle or downpour of competitors.